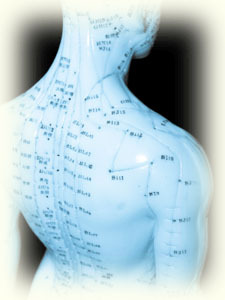 Acupuncture is an ancient Chinese method of treatment that has been used to treat over 1,000 health disorders. Treatments involve the stimulation of systemic meridians (energy or Qi pathways) at therapeutic points (acupuncture points) along its pathway. One benefit of acupuncture is the ability to provide you with quick pain relief in most cases when imbalances have interrupted the smooth flow of your body’s energy through illness, injury or scar tissue.